The finished product was a culmination of many hands’ work. Sea otter in Burke Museum Mammalogy Collection. 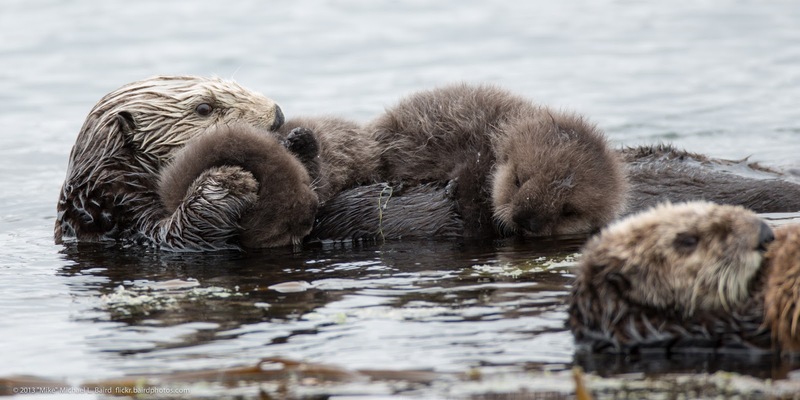 Photo from: https://phys.org/news/2017-10-robust-jaws-sea-otters-specialize.html. This skeleton will be on display in the Burke Museum’s New Building in 2019! 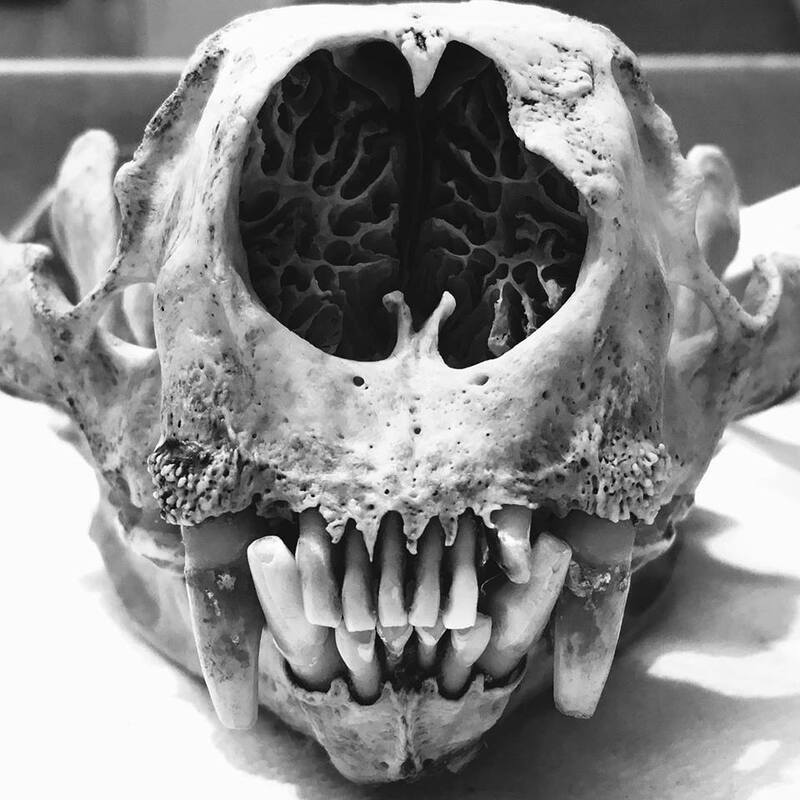 Within the first few weeks of my arrival at PTMSC, Citizen Science Coordinator Betsy Carlson mentioned the possibility of PTMSC adding a sea otter skeleton to our Natural History Exhibit. After my experience at the Burke, I responded with an enthusiastic YESSS! Sea otters have had a rocky history across the Pacific. They once inhabited the entire Northern Pacific Rim from Baja Mexico to Japan. They were overhunted by fur traders throughout the 18th and 19th centuries. In the Eastern Pacific, they were reduced to roughly two remaining populations: the northern sea otters of Alaska and the southern sea otters of California. By 1911, populations in Washington State were completely decimated. Efforts were made in the early 1970’s to introduce ~60 northern individuals to Washington’s outer coast. Since then, numbers have slowly grown to ~1,000 animals. Sea otters are still threatened by human related activities especially oil and gas transport and competition for shellfish. In Washington, sea otters are listed under the State Endangered Species Act. Nationally, they are protected by the Marine Mammal Protection Act. Without a permit, it is illegal to possess any sea otter parts. The U.S. Fish and Wildlife Service (USFWS) is the federal agency responsible for maintaining healthy populations of sea otters and oversee permitting. In October, we asked the USFWS to consider lending us an otter for our Natural History Exhibit. They agreed. (Thank you USFWS!) The individual we received was a very sick subadult male found in Grays Harbor, Wash., in 2009. He was given the identification number WNSO-68. Due to his condition, he sadly stood no chance of recovery and was euthanized. When he was brought to us, he came in the form of a frozen otter popsicle. Our next step as WNSO-68’s caretakers was to begin cleaning and preserving his bones. So, I packed up the largest cooler we have and headed over to the Burke Museum Mammalogy Prep Lab. Here we were generously offered the assistance of skilled staff and a colony of flesh-eating dermestid beetles. Once the bones are cleaned, we will begin the process of sorting the bones and re-articulating the skeleton (more updates to come!). Our goal in articulating and displaying WNSO-68’s skeleton is to learn from him and be inspired. He will help us in advocating for better care of the marine environment and of wild living Washingtonian sea otter populations. More info on Washington sea otters here and here. 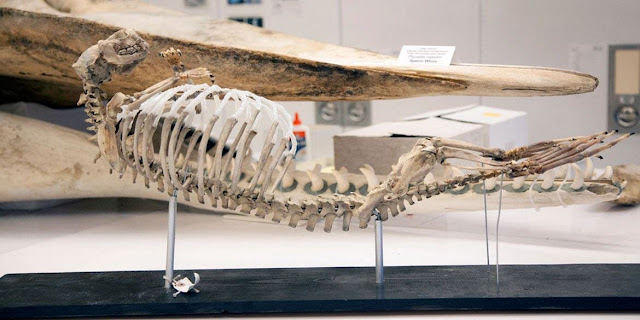 Other interesting reads on marine mammal skeleton articulation here and here. Amazing, Mariah! We are so lucky to have you here to work on this exciting project.